On Christmas Eve we received a phone call from the lovely couple. 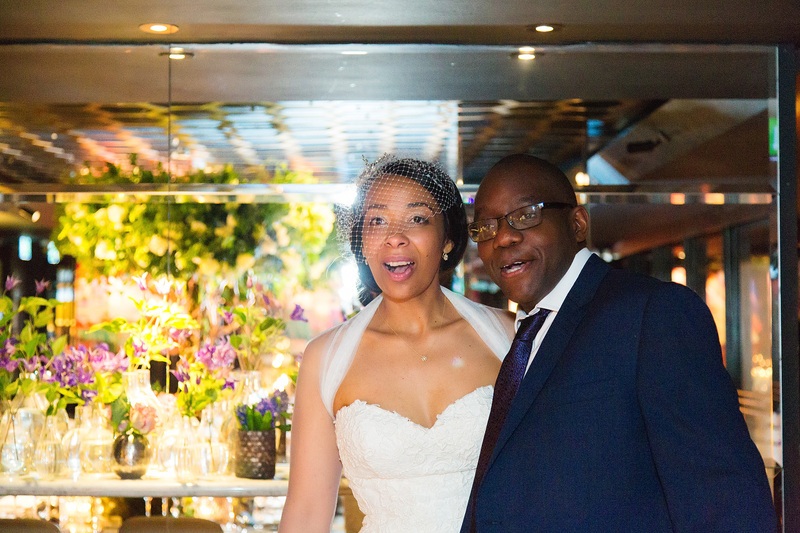 They were planning on getting married in two weeks time on Saturday 9th January 2016 and wanted our help to plan and coordinateÂ their big day for them, and their thirty closest guests in London. 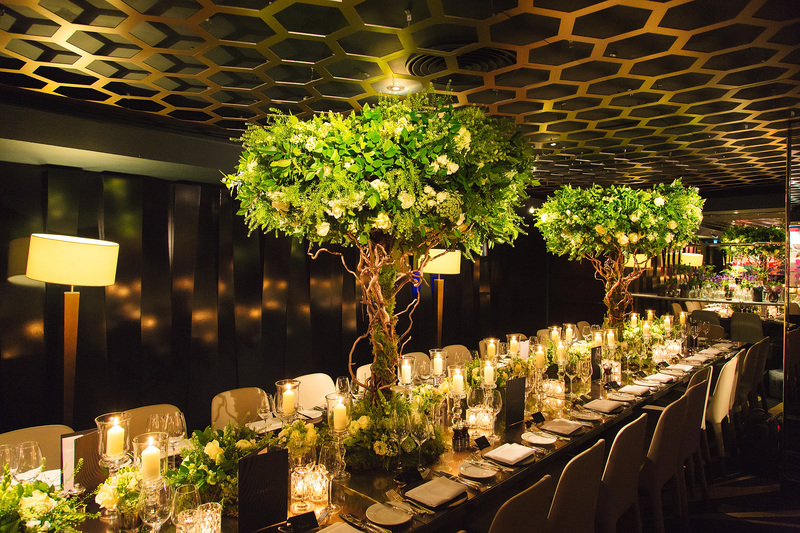 With a 2-week turn around, we spent the festive season researching the perfect venue to hold their civil ceremony and reception. And we found the perfect places for our Enchanted forest themed wedding. 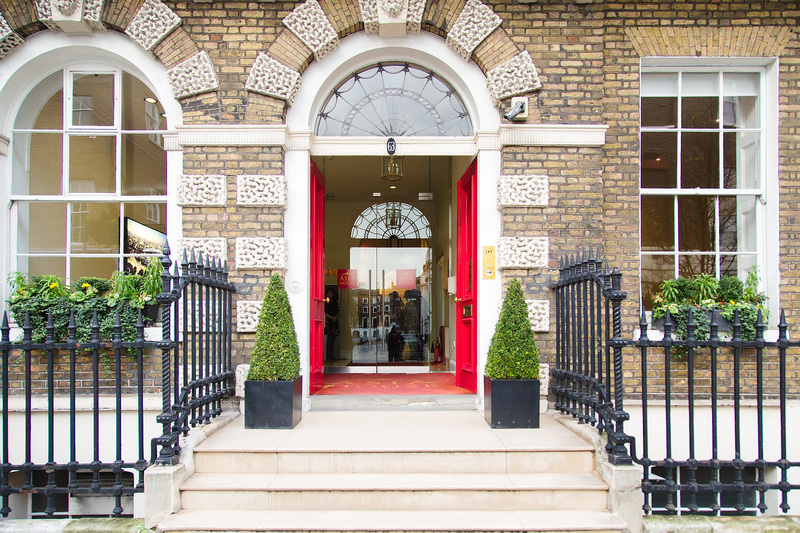 The first stop – Asia House on New Cavendish Square…which was the perfect location for the civil ceremony! 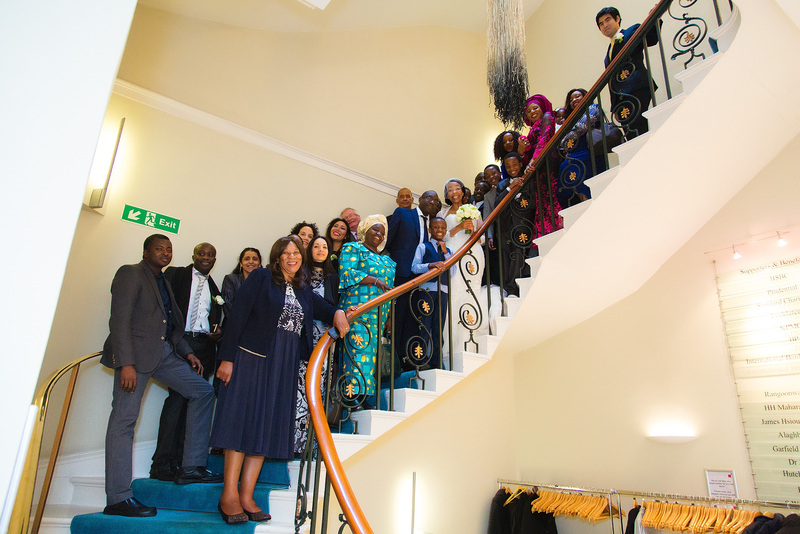 A group family pic at Asia House! The civil ceremony was very elegant as we used neutral and pale colours throughout with two flower bouquets in glass vases for the table, surrounded by little crystal vases filled with candles. 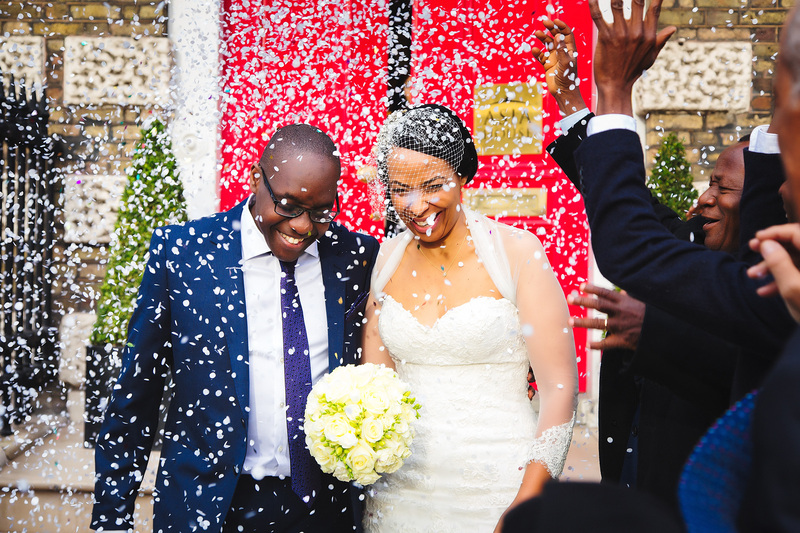 The couple’s personality shown through as they decided to walk down the aisle to their favourite music. This created an amazing atmosphere as the guests joined in. In order to create the magical enchanted forest reception, we decided on these two amazing centre pieces for the table. They were so stunning and breathtaking. 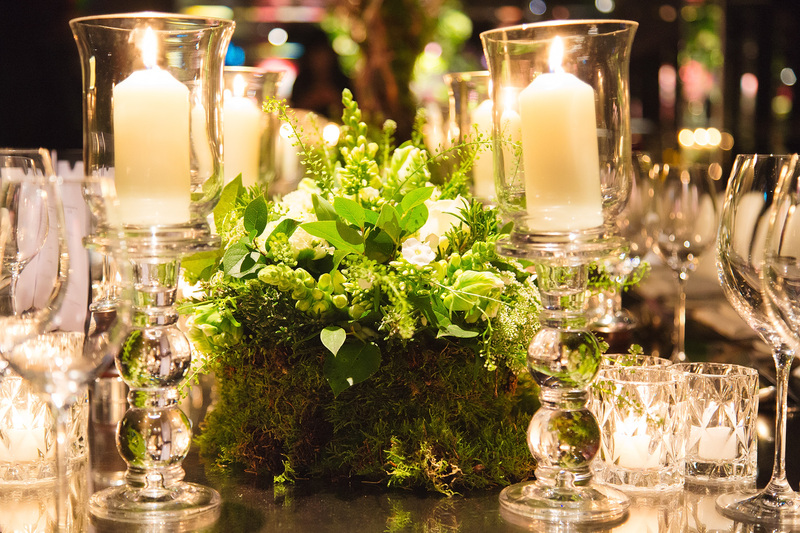 They were surrounded with candles in glass vases and miniature bouquets in silver vases. The lights were dimmed and the room was also filled with wax candles along the glass window, which were surrounded by lanterns. 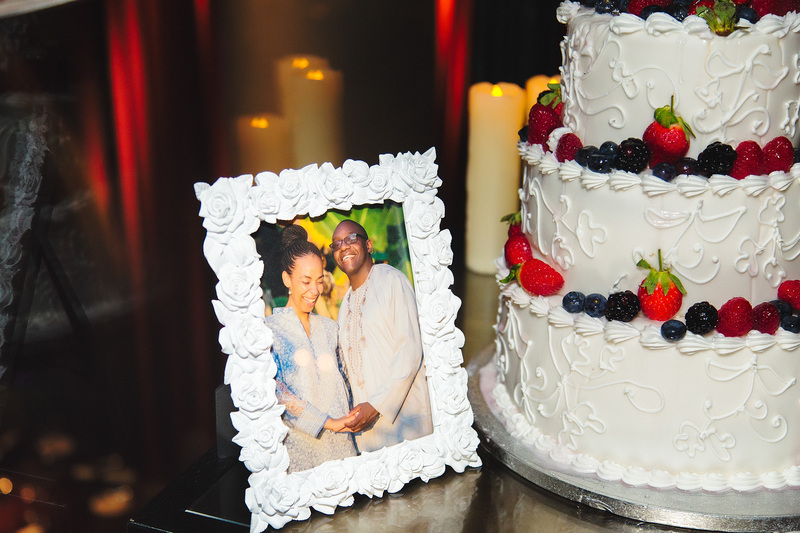 The all important wedding cake was a three tiered red velvet cake, covered in white hard icing and was beautifully topped with bright coloured berries. The colours of the sweet berries and icing design stood out perfectly. The guest book was kept quite simple with a detailed floral heart on the front. This was combined with a stunning feather pen. 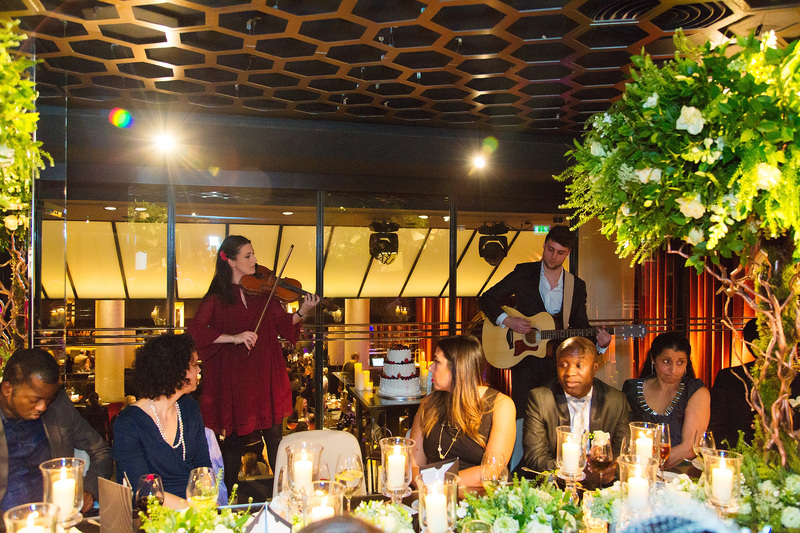 The guests thoroughly enjoyed and were fully surprised by the entertainment for the evening. A guitarist singing John Legend ‘All of Me,’ and the second performance of Christina Perri’s, ‘A Thousand Years,’ by a violinist and guitarist. Both Elisha’s and Amira’s favourite songs. 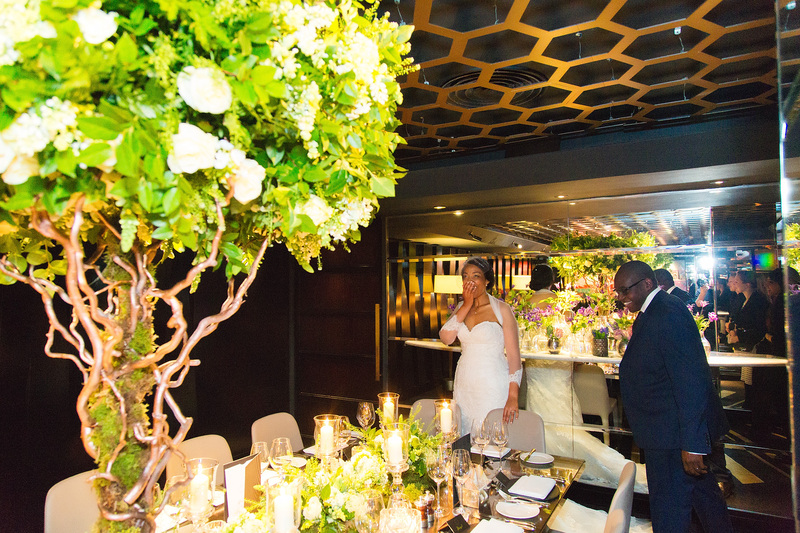 The couple arrived at the venue and saw how the room had been transformed for the first time. Almost in tears, Amira and Elisha absolutely loved it. Congratulations to Amira and Elisha! We wish you a wonderful and happy marriage! If you would like our help to plan your own unique marriage proposal or wedding let us know at info@theproposers.co.uk or click here for more information. We would love to hear from you! If you would to purchase a beautiful diamond ring visit Purely Diamonds stunning collection here.